Craig Zahler has been consistently marrying grindhouse content with arthouse sensibilities for three feature films now. 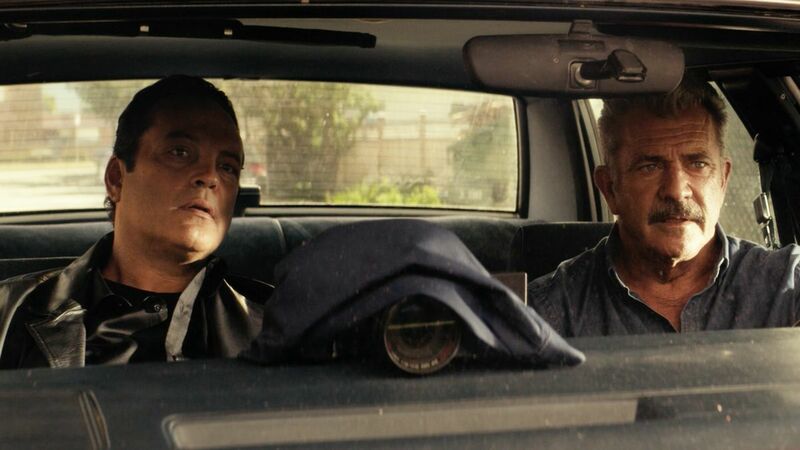 Following a gorror-Western and a brutal prison film, his latest, Dragged Across Concrete, is a cop film with no reservations or hesitations in its aesthetic or its display of dubious morality. 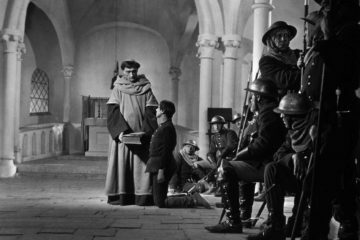 It has the on-the-streets rawness of a Sidney Lumet film, but as if directed with the measured slowness and spatial grandeur of Michelangelo Antonioni. Despite this story of suspended cops going rogue against criminals sounds familiar within this cop-thriller genre, Zahler has carved his own niche within gritty and grounded tales, through both his precision pacing and novelistic dialogue. Taking what would usually be a 90-minute action-schlock film, he expands it to 159 minutes as to carefully and deliberately involve the viewer into this cop-criminal underworld. The nine and a half minute prologue is the first example of this film taking its time, establishing Henry (Tory Kittles) and the pressurized situation he’s in just after a prison stint. It then carefully lays out the incident that gets beat-cops Brett (Mel Gibson) and Anthony (Vince Vaughn) suspended for police brutality that ended up being filmed by a neighbor – again this is a lengthy sequence, which surely would’ve been cut for brevity if this were a genuine exploitation film, but it continues on to explore their interrogation methods and thus their on-the-job temperaments (particularly out of view from nosey civilians and their recording phones). Brett argues that his methods get the desired results and keeps drug-peddlers off the streets, but his superior Lt. Calvert (Don Johnson) gives them a temporary boot to avoid liability from the public. But they don’t take it lying down, as they go on a vigilante stake-out (realistically showing the boredom without ever being boring) and track down a gang of criminals involving Henry, his friend Biscuit (Michael Jai White), and a bunch of crazy Germans. All this lengthy investigating, and drip-fed character-building culminates in an ending shoot-out lasting thirty-five minutes, that I’d wager now takes a place in the pantheon of shoot-outs scenes in cinema history (at least in my own personal list). Where Zahler and cinematographer Benji Bakshi place the action in this anamorphic landscape is stunning from one shot to the next, creating an epic sense from such a small slow scale. All the inner-city struggles of these men and their families seem to have quietly surfaced and these frustrations break out in a stand-off between the cops and robbers, as they slowly dish out the gun-fire among each other in minutely economic precision. Although Gibson seems to be the film’s A-star actor, the central characters are shared between himself, Vaughn, and Kittles. They are all hopelessly lead into simultaneously constructed and impulsive acts of crime and violence that doesn’t lead to anywhere good. Through their troubling actions, and even more troubling and antagonistic dialogue, they are not to entirely sympathize within their work duties – but their duties to their families and relationship is where the film shares a hint of justification for their outrage and desperation.